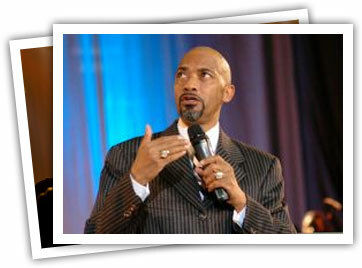 Bishop Tudor Bismark is an apostolic voice to the nations. From the age of 17 when he began traveling to outskirt villages in the Bulawayo region in Zimbabwe, to the present where he is requested at some of the largest gatherings of Christians around the world, Bishop Bismark has been known for speaking the gospel. Since 1989, he has been serving as an Apostolic Father and mentor to ministries all over the world. He and his wife, Pastor Chichi Bismark, serve as the senior pastors of New Life Covenant Church in Harare, Zimbabwe, the headquarters church for Jabula New Life Ministries International. Bishop Bismark also serves as the Chairman of the Council of African Apostles, a wholly African initiative to bring the key apostolic voices of the African church to bear on uniquely African issues. An accomplished author, Bishop Bismark has penned more than 20 books and teaching manuals including the bestselling "The Anointing of 1000 Times More". He is a well sought after speaker and leadership expert, addressing the Heads of State at the Annual African Union breakfast and speaking at Pastor's & Leaders Conferences in the USA, The Redeemed Church of Nigeria's camp meetings (a gathering of more than one million Christians), The Experience in Lagos, Nigeria, and other significant events. He has a passion to see people empowered and awakened to their God-ordained destiny and has purposed to help facilitate networks of Kingdom-minded believers raised in his lifetime. A man of immense humility, Bishop Bismark's message is simply "I love my God, I love my family, I love my church and I love my nation." Jabula - New Life Ministries is an international movement which was founded in 1989 by Bishop Bismark, along with his wife Pastor ChiChi. Originally, Jabula began as an extension of the local church in Harare, but quickly grew through church planting and international expansion. As God began to elevate Bishop Bismark, it became evident that the organization (Jabula - New Life Ministries) was becoming an apostolic movement that would bring life, transformation, order and leadership to churches, pastors, cities, para-church ministries, and nations all over the world. Throughout the 1990's and early 2000's, Bishop Bismark was increasingly called upon to travel, bringing a fresh and clear voice to the Body of Christ concerning the Kingdom, and a new way forward. Today, Jabula - New Life Ministries is in 27 nations around the world, and continues to extend its reach through church planting, empowerment programs, and advanced leadership training provided by Bishop Tudor and Pastor ChiChi Bismark.